As a Florida homeowner, you are likely aware of the wear and tear that can be placed on your overhead door system throughout the calendar year. From hot spells full of harmful UV radiation to torrential weather patterns, your garage door absorbs a lot of abuse. 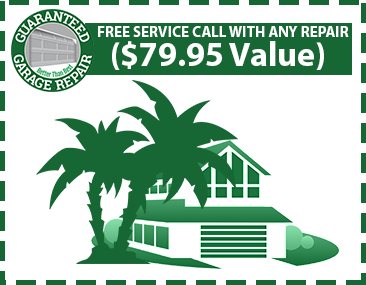 As the hurricane capital of the country, it’s important for residents to find quality garage door repairs and maintenance in Port St. Lucie. It’s equally as important to find a local garage door company that has the skills and experience necessary to create fast and cost-effective solutions for your overhead door. Our team is here to provide the absolute best services in the industry, focusing on creating outcomes that are so amazing that we guarantee your satisfaction. We’re proud to be your Top Rated Local® garage door repair specialists, and the Guaranteed Garage Repair team is here to maintain your equipment for the long haul. Part of our customer care plan revolves around regular maintenance and comprehensive garage door safety inspections to ensure that every component in your home is working as safely and as effectively as possible. Our dedication to complete customer service centers around safety, and our focus on creating long-term solutions helps to keep our clients safe. Simply put, there are a lot of different components in your overhead door system. When one piece begins to break down, it can create a chain reaction that results in more costly problems. It’s important to keep an eye on each piece of your garage door opener and door to ensure that any minor errors are remedied before they grow worse. The best way to ensure that your garage operates reliably all year round is to contact a local garage door company such as Guaranteed Garage Repair. Eye Sensors. These sensors reside on either side of your garage door and serve as the eyes for your opening and closing operations. If one of your sensors is not lined up, your door may fail to open or close completely. Safety is also a concern here, as eye sensors halt movements when an object or individual is detected in the way of the door’s position. Springs. 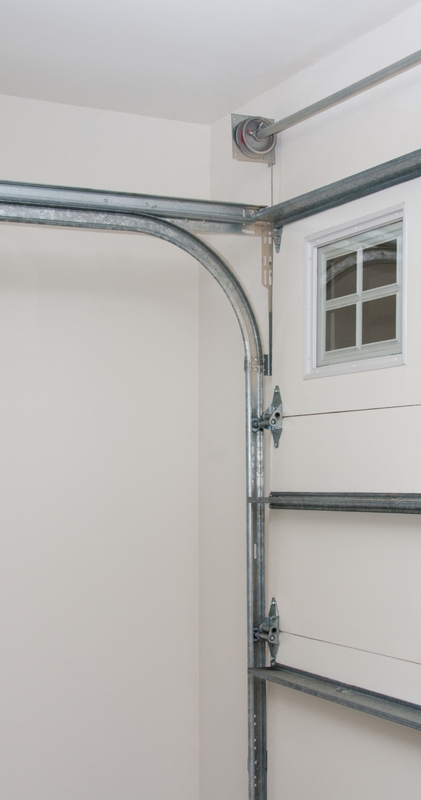 The torsion springs and extension springs in your garage are used daily to keep everything running safely and smoothly. If you notice any squeaking or damages in your springs, it’s recommended to seek out professional garage door repairs. Pulleys. Due to the daily use and high levels of tension, your pulleys can become worn down and begin to bend or warp. Cables. As the mule for lifting and lowering operations, your garage door cables are under immense stress throughout the year. It’s essential to inspect these elements for any signs of deterioration. Rollers. You may spot chips or cracks in your nylon rollers or bending and warpage with your steel rollers. In either case, it’s vital to repair these garage components before bigger damages occur. Hinges. Your garage door system can show signs of wear on the door itself as well. If the hinges on your door are loose or damaged, repairs should be made in order to prevent any dangerous failures. Garage Door Balance. Keeping your door even is essential for smooth operations. If your door is unbalanced, your pulleys and springs will be unable to operate correctly, reducing your system’s longevity and creating serious safety concerns. Much more. 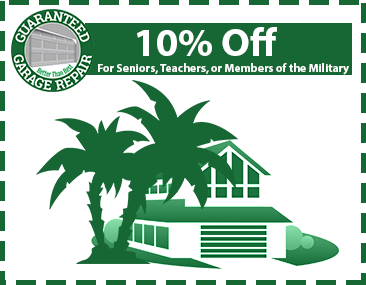 Our garage door repair technicians are trained to spot damaged or weakened parts, offering affordable solutions that are sure to keep your house intact and your loved ones safe. As the largest moving component on your home, it is important to regularly inspect your garage door for any signs of damage. If you feel that your system is in need of professional help, our technicians are available. Guaranteed Garage Repair is here to serve as Florida’s go-to garage door company, and our comprehensive safety inspections ensure that your home is safe and sound all year round. Contact us today to learn more or fill out the form below!